For the adventures of Mickey and his fire truck. 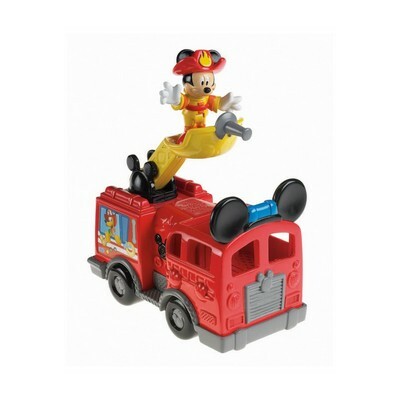 Large-scale articulated with a platform that allows Mickey to extinguish fires. Realistic siren sounds when you press the alarm button of the truck. Includes truck and figurine mickey.